This adorable scarecrow is making his way through the holidays. 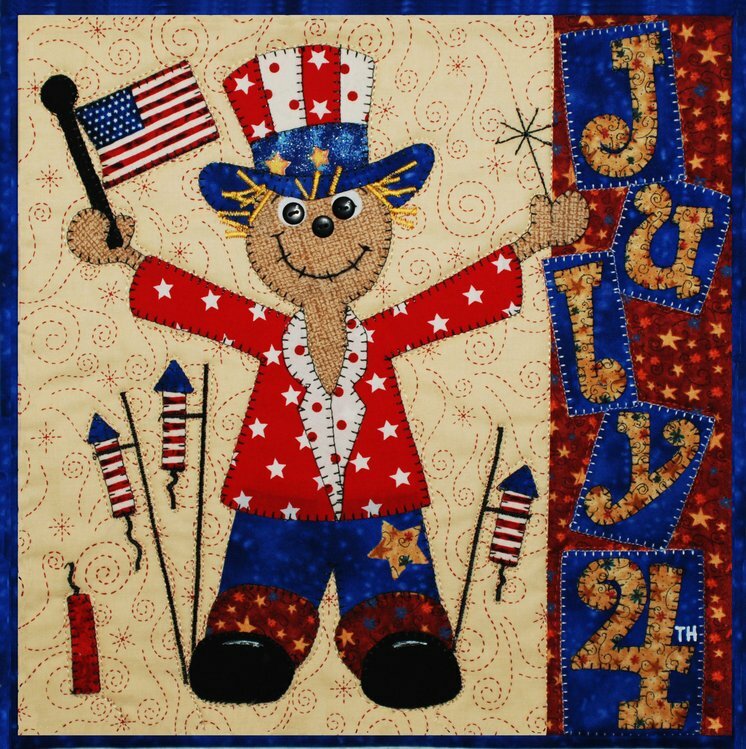 This Scarecrow is celebrating the Fourth of July and his flag is waving! ! 12"x 12"
Designed to hang on a Ackfeld 12"x 14" Wire hanger or as a small wall quilt, combine all for and make a larger quilt.